Riverfront Park is a public park that runs parallel to the Susquehanna River between shoreline and Front Street, from Vaughn Street South to Paxton Street. The park is popular among locals and visitors for its spectacular views of the river, City Island, Wormleysburg, and Blue Mountain. 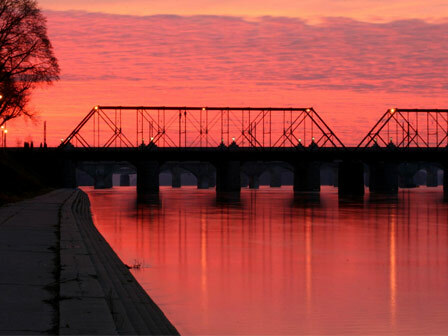 The park offers year-round outdoor activities including exercise stations, bike lanes, and trails for joggers and hikers, and features the Walnut Street Bridge—a popular pedestrian walkway that connects Harrisburg’s downtown and Riverfront Park with City Island. Riverfront Park also hosts many of Harrisburg’s yearly festivals and events such as Kipona, American MusicFest, Woofstock Festival, and Harrisburg’s Gay Pride Festival.